You deserve an apartment you're excited to come home to – and at Montage Apartments, we'll help you find the perfect fit. We offer spacious, luxurious one and two bedroom apartment homes, providing resort style living in the heart of Citrus Heights & Orangevale. With an excellent location and world-class amenities, Montage Apartments to find an ideal one or two bedroom apartment! Our mission is to provide you with resort-style at the price of a standard apartment home – and we have a plethora of options for both 1 and 2 bedroom apartments near Orangevale and Citrus Heights. Our newly renovated units come complete with new bamboo flooring, stainless steel appliances, Nest air conditioning and heating, and even Kevo keyless entry in select units. You'll feel like you're living in the most state-of-the-art apartment complex in the greater Sacramento area! 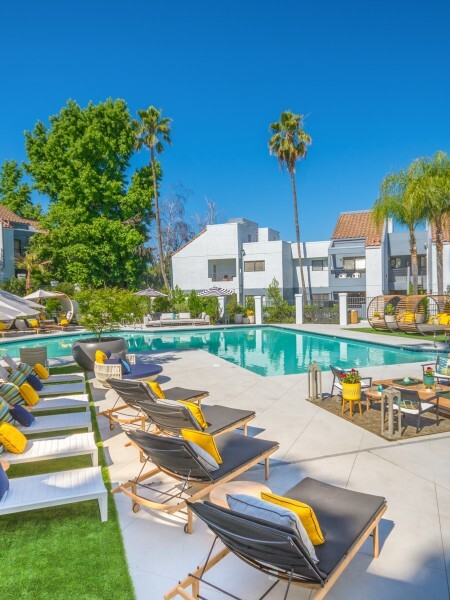 In addition to beautiful apartments, our complex features a plethora of amenities including three resort style pools, a cyber lounge & coffee bar, and a world-class 24-hour fitness center complete with a brand new rock climbing wall! More than just a wonderful place to relax and stay healthy, Montage Apartments is in the perfect location. Situated within the San Juan Unified School District near both Sierra College and American River College, we're close to a number of natural and urban attractions. You'll be within driving distance of the American River, a variety of biking and jogging trails, the Sunrise Golf Course, and the Sac State Aquatic Center. Not to mention, we're conveniently located near many restaurants and various shopping centers like Sunrise Mall! When you make Montage Apartments your new home, you're choosing to live in a beautiful apartment complex with state-of-the-art amenities and a location that's perfect for any lifestyle. We're happily accepting new tenants, and we have both 1 and 2 bedroom apartments for rent in a variety of sizes and floor plans. Call us today at (855) 371-3929 or fill out an online application to start your next chapter at The Montage.